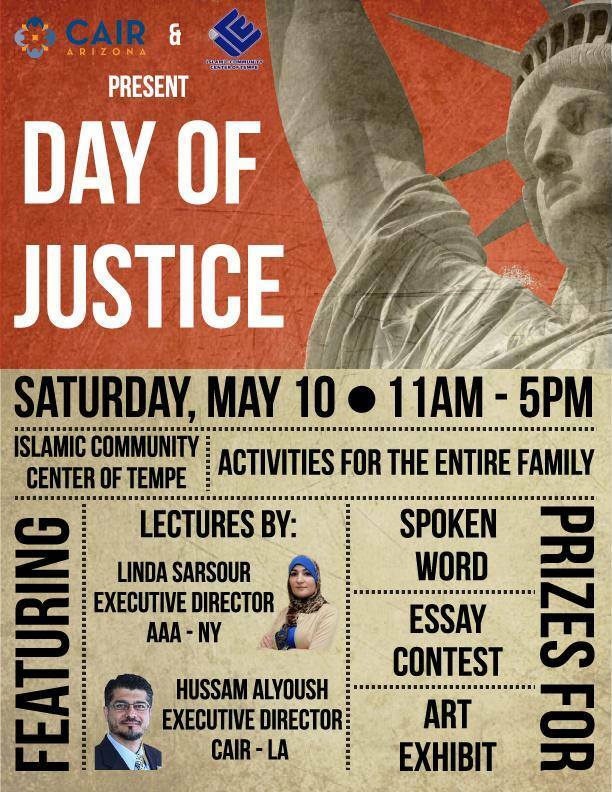 On behalf of CAIR-Arizona and Islamic Cultural Center of Tempe – we would like to invite you to a FREE and empowering event this weekend: Day of Justice! This promises to be a unique and thought-provoking series of panels, lectures and discussions – along with a great creative portion to express the concept of justice in Islam. Additionally, we will be hearing from local leaders such as Imam Ahmad Shqeirat, Imam Anas Hlayhel, Dr. Aneesah Nadir – as well as up and coming leaders from the community.